In case you didn’t know, we had a recent delivery at the family of 6 new members. It’s Olly, guys, Olly the cat. 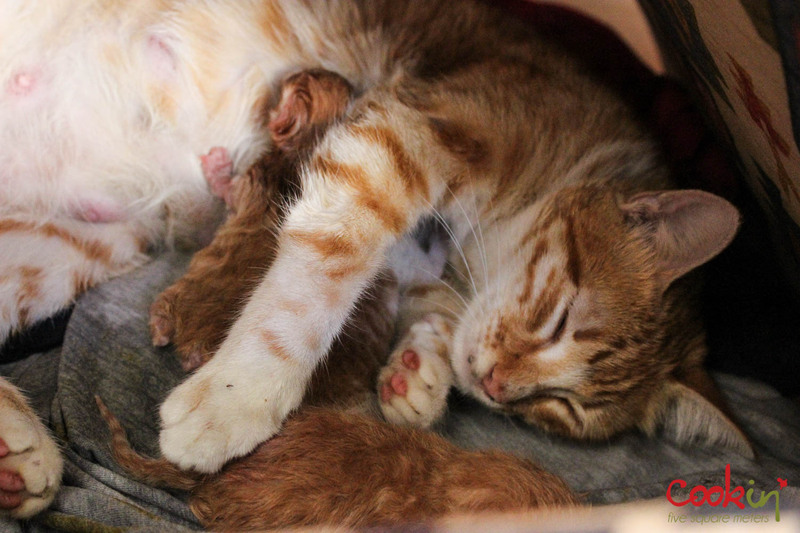 She gave birth to SIX CUTE KITTENS last Sunday giving us a shock for the number of kitten she had been carrying. Never a dull moment passed for Olly. She climbed the screen door, jumped on the street, played, went crazy and all sort of things a young cat would do. BUT SHE HAD SIX KITTENS GROWING INSIDE HER!! !